Bay leaf (called “TEJPATTA” in India) is commonly used in different forms in cooking, making various types of medicines and perfumes. Bay leaves are widely utilised in the India, Nepal and Bhutan. It is used to add flavour to a mixture of dishes both vegetarian and non-vegetarian. Different forms of bay leaves developed in various countries. Indian bay leaf comes in three shapes i.e. curved, pointed and soft & hard. Their quality & smell are some degree equivalent to cinnamon bark, however somewhat moderate. They can be utilised freshly and also after they are dried/roasted or even after making them in powder form. It is a vital zest in Moghulai recipes like BIRYANI and KORMA. Simmered and ground bay leaves are being mixed in Indian spices popularly known as “GARAM MASSALA”. Bay leaf oil, distilled from bay leaf, is having remedial elements and can be utilised to treat few diseases due to its astringent properties. Diabetes: To control the blood glucose, cholesterol, etc, taking bay leaf in any form is beneficial. It contains polyphenols (most powerful antioxidants) that allows body to plan insulin properly resulting in control in glucose. If consuming capsules, it should contain 1-3g bay leaf. If leaves are to be consumed directly, the method is: Collect 10-15 leaves, clean these well, boil it properly in water about 3-4 cups and consume everyday for getting relief. Cancer: Chemo-protective elements of bay leaves offer prevention against various sorts of cancer. Different components of bay leaf plant, kills cancer cells and particularly limit the tremendous increase of cervical cancer cells. Skin Problems: Bay leaf oil that contains antiseptic /antioxidant properties and various active components that enhance the blood supply to the skin, resulting in keeping the skin healthy, wrinkles free, cure skin infections, heal cuts, buries, etc. Hypertension: Bay leaf contains large scale compound that is hypertensive remedy. Such compounds permit the tannins and flavonoids to treat the one who are suffering from hypertension. One can easily make the recipe at home and procedure is : 15-20 bay leaves are to be first cleaned properly and then boil in approx. 4 glasses of water. Once the water is little warmed, drink it immediately. Do this5 days in a week and see the difference for yourself. Cold/Infection: Bay leaves are highly viable in battling the disorder of cold, influenza and infections. The method for utilisation of bay leaf to control cold/infection is that : take 3-4 bay leaves, wash it properly, then boil it for about 10 minutes. Absorb a piece of cloth in warm water and spot it on your chest for some time. By doing this, there will be relief from cold/infection. Bay leaves tea is very useful to get relief from fever. In case of continuous sniffling, take 3-4 bay leaves, boil it in 200 mi water till it gets up to 50 ml and then take the steam inside the body through nose to get the immediate relief. Pain & stomach ulcer: Bay leaf oil is having antiseptic /antioxidant properties and various active components that can reduce the pain due to tension, joint inflammation, ailment, ulcer and general pain. Most of the pains disappear by rubbing the bay leaf oil. By doing this, blood in the body circulates fast thereby giving you relief. To get relief from the joint pains, paste is to be made from ground bay and castor leaves and rub and tie around it and you will fell some relief and swelling can also be reduced. 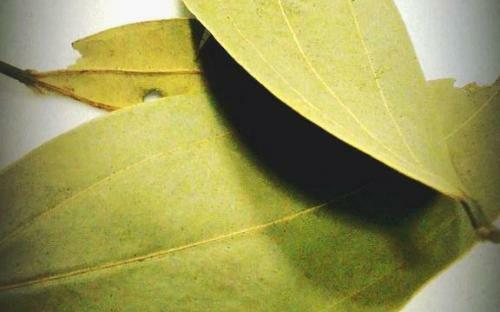 Paste of bay leaves is also useful in getting relief from headache. If there is a stomach ache, take approx. 20 bay leaves, clean properly and boil it for about 15 minutes in plain water and thereafter add some brown sugar. After some time, you can have it for few days and stomach pain will slowly disappear. Clean teeth: Brush your teeth with the paste made from bay leaves and orange skin to add a sparkle. The procedure to make paste is that: take few bay leaves and orange skin, dry it and mix it properly, thereafter mix some water till it becomes a paste. Apply on teeth. Keep it for couple of minutes and gargle it. Digestion: Bay leaf is useful for advancing digestion system and works as a wonderful remedy for digestive issue like acid reflux and flatulence. Having a mixture of bay leaf tea with boiling water can allay normal digestive issue like blockage, indigestion and sporadic solid discharges. Bay leaf contains enzymes and it’s main function is to empower breakdown of proteins, accordingly making it an amazing spice for non-vegetarian lovers. To control increase an occurrence of acid reflux and bloating, you can take a mixture made of : 5 grams of the bay leaves, include a bit of ginger and heat up in 200 ml of water. Boil it till it remains approx. 50 ml. Add honey and have it couple of times during a day to get relief. Immune system: Bay leaves contain a huge quantity of vitamin C that is highly antioxidant and its helps in removing free radicals from body and increases the immune system. Have bay leaves on the daily basis to ripe its benefits.